Or perhaps they simply feel their love has deepened; and they would like to restate their original vows, or promise new vows to one another. 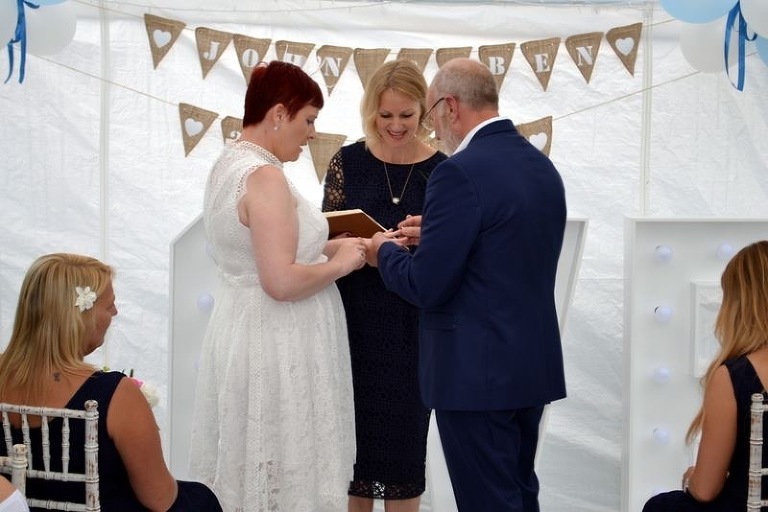 This ceremony can incorporate a range of elements such as readings and songs, to represent the couple and the strength of their partnership. The ceremony might also include a symbolic ritual such as the lighting of candles, the planting of a tree, or even the naming of a star. Couples may choose to renew their vows somewhere that is really special to them. This could be in their own home, on the beach or in a secluded woodland. Or even at the local park, or in a favourite restaurant. Indeed it can take place wherever they have a particular connection.